In the next conversation in this Stratagem series entitled The Environmental Ethics, ecologist Paul Ehrlich shares his views on the Ecology of our planet, her ecological challenges, our need for awareness of these challenges, and our need to find practical solutions. There was a time when it was hoped that ecologists like Paul Ehrlich would find themselves in the same room with prominent economists so that ecological theory can be put into economic practice. That hoped for time has arrived! Paul Ehrlich has co-pioneered this possibility with Sir Partha Dasgupta whom I interview here below. Paul and Sir Partha are, in fact, old friends. I first met Paul Ehrlich at a dinner at Stanford University’s Faculty Club in Autumn 1989. The occasion was a lecture by Malin Falkenmark on the water crisis in sub-Saharan Africa. By then I had come to recognize Ehrlich’s stature among ecologists, but had only just realized that over the years he had gathered round him an enormously powerful group of applied ecologists. Unwittingly, I disarmed him by telling the dinner guests that Ecoscience had greatly influenced my 1982 book on the control of resources. I don’t believe Ehrlich had ever had a compliment paid to him by a mainstream economist. As he had a robust disdain for contemporary economists, I don’t believe he ever made an overture to Stanford economists to help make ecological economics into a discipline that would be respected by both ecologists and economists. Sir Partha Dasgupta was born in Dhaka in 1942 and graduated with a BSc in physics from the University of Delhi in 1962 before obtaining a BA in mathematics and a PhD in economics from the University of Cambridge in 1965 and 1968 respectively. He taught at the London School of Economics between 1971 and 1984 and then moved to the University of Cambridge in 1985 as Professor of Economics. Between 1989 and 1992, he was on leave from the University of Cambridge and served as Professor of Economics, Professor of Philosophy, and Director of the Program in Ethics in Society at Stanford University. He is Ramsey Emeritus Professor of Economics at Cambridge, Fellow of St John’s College, Cambridge, and Professorial Research Fellow at the Sustainable Consumption Institute, University of Manchester. Professor Dasgupta’s research interests include welfare and development economics, the economics of technological change, population, environmental and resource economics, the theory of games, and the economics of undernutrition. 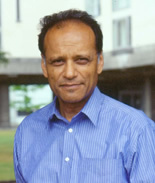 His most-cited articles include, ‘Notes on the Measurement of Inequality’, Journal of Economic Theory (1973), co-authored with Amartya Sen and David Starrett, ‘The Optimal Depletion of Exhaustible Resources’, Review of Economic Studies (1974), co-authored with Geoffrey Heal, ‘Industrial Structure and The Nature of Innovative Activity’, Economic Journal (1980), co-authored with Joseph Stiglitz, ‘The Existence of Equilibrium in Discontinuous Economic Games, I: Theory’, Review of Economic Studies (1986), co-authored with Eric Maskin, and ‘Inequality as a Determinant of Malnutrition and Unemployment: Theory’, Economic Journal (1986). His books include, The Control of Resources (Harvard University Press, 1982), An Inquiry into Well-Being and Destitution (Clarendon Press, 1993), Human Well-Being and the Natural Environment (Oxford University Press, 2001; revised version, 2004), and Economics: A Very Short Introduction (Oxford University Press, 2007). Professor Dasgupta was elected a Fellow of the Econometric Society in 1975, Fellow of the British Academy in 1989, Member of the Pontifical Academy of Social Sciences in 1997, Member of the Third World Academy of Sciences in 2001, and Fellow of the Royal Society in 2004. He is a Foreign Honorary Member of the American Academy of Arts and Sciences (1991), Foreign Associate of the US National Academy of Sciences (2001), Foreign Member of the American Philosophical Society (2005), and Foreign Member of the Royal Swedish Academy of Sciences (1991). He was named Knight Bachelor by Her Majesty Queen Elizabeth II in her Birthday Honours List in 2002 for “services to economics”. Sir Partha, could you give us an insight into your own work in bringing together both ecologists and economists? What value-added emerges through the ecologist and economist collaboration? You know Karim, it’s hard to overestimate the influence the US Environmental Protection Agency (EPA) has had on the way environmental and resource economics developed in the US from the mid 1970s. And because US economists shape fashion elsewhere, the EPA has exercised world-wide influence. If you read the Journal of Environmental Economics and Management, you will find that most frequently the natural environment is taken to be an amenity, which are often public goods (e.g., lakes and coastal zones for fishing, sailing, and snorkeling). How such goods should be valued is a question that intrigued economists in the US. That led to the development of ingenious methods for estimating the worth of environmental amenities, such as contingent valuation methods, or CVMs. There are now literally hundreds of highly sophisticated articles on the valuation of amenities. By the late 1970s I had begun trying to unravel the pathways that result in the persistence of rural poverty in poor countries (Africa, South Asia). The writings of anthropologists convinced me that in those places the natural environment (or what should be called natural capital) is a direct input in household production; they are not amenities. Drinking water and fuel-wood are ready examples, as are local forest products (gum, leaves, fibres, herbs). Sadly though, an enormous literature on development economics paid not the slightest attention to natural capital. Development economists, or so I discovered, also took the natural environment to be composed of amenities. It seemed to me that’s how political leaders in developing countries were getting away with the thought that the environment should be of concern to societies only when they become rich. Ignoring natural capital meant subsidizing their use in industrial production and services. 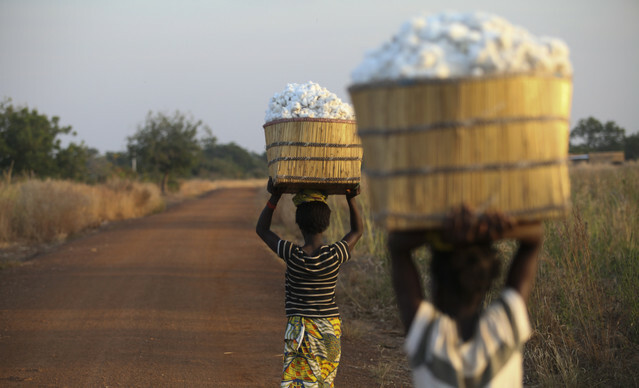 That meant production and consumption activities in most poor countries were in one essential sense “anti-poor”. As late as 1988 I took the opportunity to lobby those of my friends in charge of the Journal of Development Economics to solicit articles on environment and development; but to no effect. In The Control of Resources, published in 1982, I suggested that the natural environment can be seen as comprising forms of capital that are self-regenerative but which are in danger of exhaustion from excessive use. (Previously, Geoffrey Heal and I had developed the economics of exhaustible resources in our 1979 book, Economic Theory and Exhaustible Resources.) While writing The Control of Resources (that was the late 1970s) I realized that that meant nature should be viewed as a gigantic, interconnected factory, producing goods and services all the while, at different speeds and at different spatial scales. That meant, at least to me, that environmental and resource economists should study that factory and unravel the pathways by which Nature responds to disturbances and reshapes Herself. However, at the time I am talking of (the late 1970s), I knew no ecology, nor had I ever heard the name. The London School of Economics (LSE), which is where I taught then, is a social science university. There were no biologists on the Faculty. Neither the library nor the LSE’s bookshop had any item in the natural sciences. The models I constructed in my book were based on a few works on pollution and fisheries that I had obtained from colleagues. Sometime in 1979 I came across, quite by chance, a treatise with the title, Ecoscience (by Paul and Anne Ehrlich and John Holdren). That book was what I had been waiting for without knowing. Because the work was non-mathematical, I tried to formulate mathematically the ecological processes its authors had described, so as to produce quantitative estimates of the effects of policy or technological change on Human-Nature interactions. My book contains those first attempts. That experience convinced me that ecologists and economists need to collaborate if Humanity is ever going to understand our relationship with Nature. But I didn’t get to know any ecologist at a personal level until 1989. Despite progress, environmental and resource economics, or ecological economics, remains isolated from the main body of contemporary economic thinking. I first met Paul Ehrlich at a dinner at Stanford University’s Faculty Club in Autumn 1989. The occasion was a lecture by Malin Falkenmark on the water crisis in sub-Saharan Africa. By then I had come to recognize Ehrlich’s stature among ecologists, but I realized that over the years he had gathered round him an powerful group of applied ecologists. Unwittingly, I disarmed him by telling the dinner guests that Ecoscience had greatly influenced my 1982 book on the control of resources. I don’t believe Ehrlich had ever had a compliment paid to him by a mainstream economist. As he had a robust disdain for contemporary economists, I don’t believe he had ever made an overture to Stanford economists to help make ecological economics into a discipline that would be respected by both ecologists and economists. It may even be that he was under the impression modern economics is incapable of absorbing ecology. It wouldn’t have been his fault for thinking that, for no one had explained to him otherwise. My knowledge of ecology at that time was based solely on a reading of Ecoscience. Because no one had taught me the subject face to face, my understanding wasn’t firm. I knew particular models well, but had little appreciation of over-arching ecosystems. Ehrlich in turn was innocent of economics, but in time realized that I wouldn’t mislead him by making false claims about what my discipline can or cannot deliver. So we became each other’s students. Our tutorials began at small meetings and subsequently during walks on the Stanford Hills. Progress was slow, because although our concerns were the same, our professional languages were different. So as to enlarge those occasions into a regular seminar, we approached Walter Falcon, who was then Director of the newly created Centre for International Studies. In addition to Ehrlich and myself, regular members at the seminar included the ecologists Gretchen Daily, Anne Ehrlich, Hal Mooney, and Peter Vitousek, and the economists Kenneth Arrow, Walter Falcon, Lawrence Goulder, and David Starrett. There may have been seminars like ours elsewhere, but it was ours that spread to Europe in the following year to create a self re-enforcing movement that in due course spread further, to South Asia and sub-Saharan Africa. World Institute of Development Economics Research and MacArthur Foundation grants helped us establish teaching programs in environmental and resource economics for young university teachers of economics in poor countries. In 1991 the Royal Swedish Academy of Sciences re-named a dormant institute in its books the Beijer International Institute of Ecological Economics. The Academy appointed my friend Karl-Goran Maler to its Directorship. He had a good deal to say on the matter of who should be invited to Chair the Institute’s Scientific Advisory Board; which is why for the next six years I came to Chair a Board that included a mix of environmental and social scientists, including Bert Bolin, Paul Ehrlich, C. S. (“Buzz”) Holling, Bengt-Owe Jansson, Assar Lindbeck, Simon Levin, Helga Nowotny, and Robert Solow. I mention them here because without the backing of such a commanding group, Maler and I couldn’t have been in a position to use the enormous prestige of the Royal Swedish Academy to develop a project we had had in mind for over a decade, which was to help build capacity in environmental and resource economics in the South. Grants from the World Institute of Development Economics Research (WIDER) and the MacArthur Foundation enabled us to establish a teaching programme in environmental and resource economics for young university teachers of economics in poor countries. The South Asian Network for Development and Environmental Economics (SANDEE) is a direct descendent of that programme, as is the Cambridge University Press journal, Environment and Development Economics. One, on ecosystem complexity, was a failure. But the other, directed by the economist Charles Perrings, on the economics of biodiversity, was remarkably successful in bringing together ecologists and economists from different parts of the world to define a style of work that led to subsequent research on the economics of resilience and other related properties of ecosystems. Today collaboration among ecologists and economists is becoming, if not a commonplace, certainly not infrequent. With Jansson’s help, one of the first moves Maler made was to establish a two-day meeting at the marine field station on the island of Asko in the Trosa archipelago following each year’s Board Meeting. Board Members and invited scholars socialized and discussed research problems (Ehrlich and I moved our Stanford walks to Asko), but at set times we gathered for the official purpose in hand. In a sense, however, there was no official purpose; it wasn’t the practice to be issued even a background paper. All we were given was a theme for discussion. The meetings had, and I believe continue to have, the flavour of what I have experienced at Quaker Meetings. People spoke only when they were moved to speak. The difference was that as the congregations were a mix of ecologists and economists, pretty much everyone was moved to speak all the time. The statements we prepared, most of which were subsequently published, weren’t research articles. They were outlines of research problems, a bit like reconnaissance exercises. Despite that progress, environmental and resource economics, or, to be more accurate, ecological economics, remains isolated from mainstream contemporary economic thinking. Evidence of isolation has been provided strikingly, even if unintentionally, by a 2006 paper in the Journal of Economic Perspectives, where the authors identified what has mattered to the economics profession since 1970, by surveying 41 of the most prominent refereed economics journals. As you can see, we have a long way to go.